As Earth Day approaches, it is important for us to see the big picture –to build a more sustainable future. Earth Day established internationally in 1990. 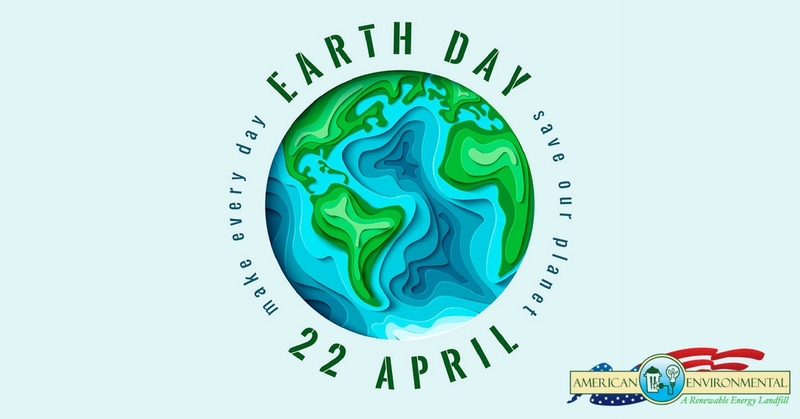 Since then, millions of individuals have celebrated the holiday by planting a tree, picking up trash, or finding ways to get their families involved by creating a recycling bin, building a birdhouse, or making an egg carton tree. American Environmental Landfill is dedicated to environmental awareness and innovation. AEL prides itself on being an efficient and productive neighbor. Our facility exceeds national environmental standards as a Subtitle D landfill. AEL is the largest landfill in the state and we continue to search daily to find ways to keep Green Country beautiful. At AEL, we have ensured our practices, equipment, and the facility is cost effective and good for the environment. Our dedicated employees are thoroughly trained to carry out daily tasks such as compaction of waste, daily covering, use of litter fences, removal of stray debris and watering on-site roads. We also provide our customers with the use of our state of the art wheel washer system. Being a solid-waste only facility, this pressure system can remove waste and mud from wheels and trucks – keeping compliant with the Oklahoma Department of Transportation regulations. That’s not all….our landfill has made it possible to energize the future! AEL found a purpose for non-recyclable trash residue. We can capture methane gas through drilled wells to produce electricity. This initiative can power nearly 18,000 Oklahomans in the Northeastern region. American Environmental Landfill is also home for many different animals. With over 220 acres of land, we can provide space for livestock and even house bees. The scenery in the springtime with the flowers blossoming is breathtaking! AEL does provide tours of the landfill to students and groups. Participants can see hands-on how we reuse and recycle to benefit our environment. Learn more on our website here. We proud to be Oklahoma’s only renewable energy landfill. Find out more ways you can build a brighter, better future by visiting our website today.